This is truly good news. Scrivens has improved each year he’s played in the NHL and in his time with the Oilers he’s proved that his numbers in LA are no fluke. 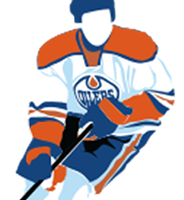 Since the Oilers acquired Scrivens from LA for a third-round draft pick he has posted a .940 save percentage and a 2.15 goals against average in seven games. The deal will pay Scrivens 2.3 million per season and give him the opportunity to prove that he has the stuff to be an NHL starter. The problem though that the Oilers face is that they really do need to bring in another goal tender who can push Scrivens and challenge for that number one job. I’ve been impressed with Bryzgalov’s play lately and wouldn’t be surprised or upset for that matter if the Oilers also signed the veteran to an extension. In other new Mark Arcobello has been named player of the week in the AHL and I think we can expect to see him in an Oilers uniform very shortly. There could be 2 or 3 forwards moved out of town in the next couple of days which will give Arcobello a huge opportunity to stick in the NHL. This entry was posted in Player Signing, Uncategorized on March 3, 2014 by jtunnicliff.